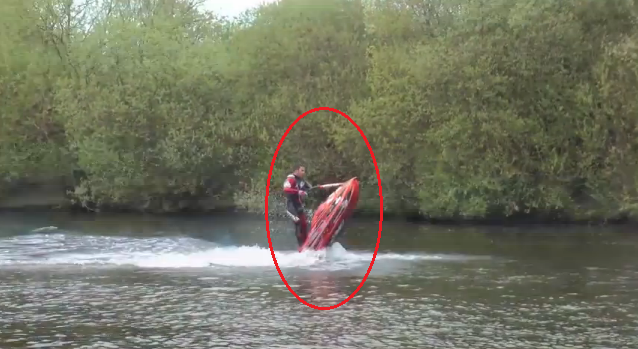 Anthony Burgess, a young freestyle jet ski champion, shows off his unbelievable jet ski skills in front of a crowd at the Kingsbury Water Park in Warwickshire, England. Mr. Burgess is a well-known and respected name in the world of freestyle jet skiing. At a very young age, he has competed and won in some of the biggest jet skiing competitions in the world. These include the JSRA British Pro Championship and the EJSBA European Championship.